For the majority of us, the hot weather is an absolute joy. After months of rain and grey vistas, us Brits are waking up to azure blue skies and temperatures reaching the thirties. But not everyone loves the heat. 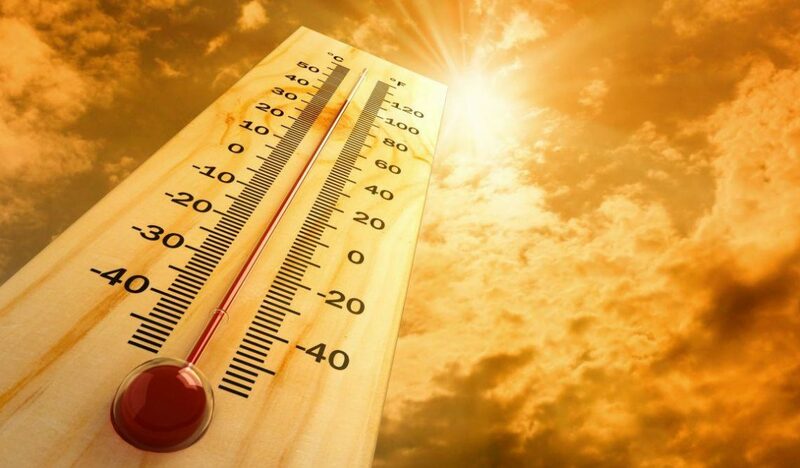 The very young, the elderly and the sick can especially suffer when the mercury rises. With this in mind we have put together a list of top tips to make sure you stay cool during the heatwave. The most important advice when it is hot is to make sure you drink enough. You should be drinking around eight 8-ounce glasses of water a day, but when the temperature rises then obviously this amount also rises. Our bodies are a whopping 80% water, so keeping hydrated is essential. Letting the air circulate around your house will undoubtedly help to keep it cool in the hotter hours of the day. Open as many doors and windows as you can and in different rooms both up and downstairs. Keeping this side of the house in darkness will help to keep it cool as the sun’s rays cannot enter any of the rooms. There are now fans that give a blast of freezing cold air, instead of just moving around the hot sticky and stagnant air that has settled in your home. These are typically quite expensive to run so keep to one in the living room and the main bedrooms. Many people think that having an ice-cold shower or bath is the best way to cool down, but your body recognises the cold and immediately adjusts by raising its core temperature. Get into a tepid shower and then slowly lower the temperature but don’t have the water too cold. Time to change your heavy winter duvet for a summer one or even a cotton sheet. Sleep under a lighter duvet or the sheet and with the minimum of clothing. Typically the upstairs of your house will be much hotter than the downstairs. If the heat gets too unbearable consider sleeping downstairs on a sofa bed or even a sun lounger. The best rooms downstairs are those with cool tiles, such as kitchens and bathrooms. Fill up a hot water bottle with water and then pop it into the freezer for half an hour, then wrap in a towel and place at the foot of your bed for an instant cooling effect. Summer is the ideal time for salads and the last thing you feel like eating is a hot stew, this is for good reason. The temperature of the food affects our bodies, so a hot meal will heat us up and a cold one will help to keep us cool. Conversely, curries and other spicy foods have the effect of making us sweat which in turn cools down our skin. In extreme heat vulnerable people can suffer, in these circumstances, when you need to cool someone down quickly, you can plunge their wrists into ice cold water, or pop their feet into a bowl of cold water. Soaking flannels or towels in cold water then draping them behind the neck or on the forehead also has an instant cooling effect. Don’t forget your pets either, dogs especially suffer in the heat. Don’t walk them during the hottest part of the day, make sure they have plenty of cool fresh water and confine them to shady areas of the house or garden.